White Castle has its Impossible Sliders, Burger King its Impossible Whopper. Carl’s Jr. serves a Beyond Burger, and Del Taco introduced Beyond Meat as a meatless substitution in its tacos and other items. But America’s largest fast-food chain is notably absent from the plant-based fast-food discussion, as McDonald’s remains the highest-profile holdout in the meatless game—in America, anyway. Consumers are putting more pressure on McDonald’s to offer a meatless burger option, evidenced by a recent Change.org petition that is close to its goal of 200,000-signatures. “We Americans love a protein center to our meal, so veggies and salads alone (or even in a wrap) won’t do the trick; we want something hearty and protein-centric just like the burgers and sandwiches you already have, only with something plant-based instead,” it reads. Given its size, implementing new menu items is no small undertaking. But McDonald’s has proven it can respond to consumers’ demands around healthier and more ethical proteins, announcing last year it would eliminate all artificial colors, flavors, and preservatives from its classic burgers, and would transition entirely to cage-free eggs in the U.S. by 2025. That McDonald’s is the final major fast-food chain without a meatless burger or sandwich is even more curious given its former CEO sits on the board of Beyond Meat. 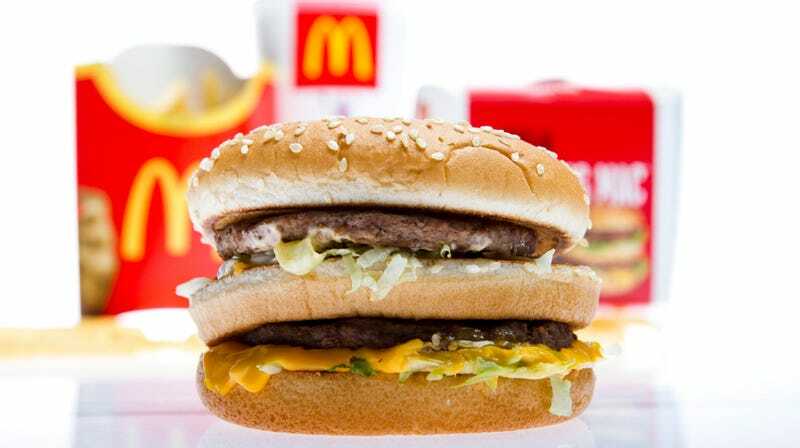 I anticipate it’s only a matter of time before the Golden Arches debuts a sandwich with Impossible or Beyond meat—or even a vegan meat of its own invention.